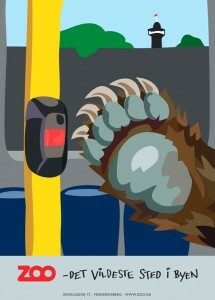 Winner poster in a competition from the Copenhagen ZOO. The assignment was to illustrate the sentence “The Wildest Place in Town”. How to illustrate this was optional. 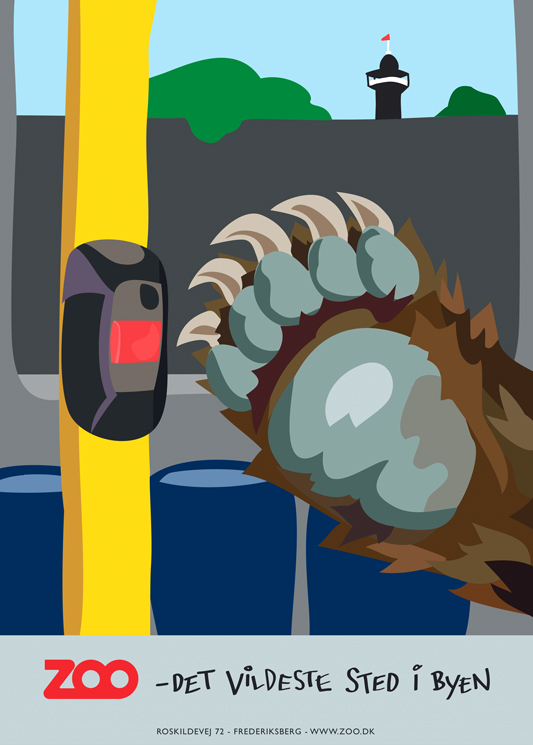 This poster and flash video by Alice Hjorth from Pixilotta Productions won the competition. 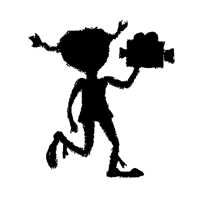 You can see the video here. 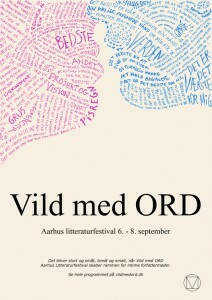 The task here was to create a poster for the Danish poetry festival “Vild med ORD” (Crazy About WORDS). The poster was to contain letters only, no images. 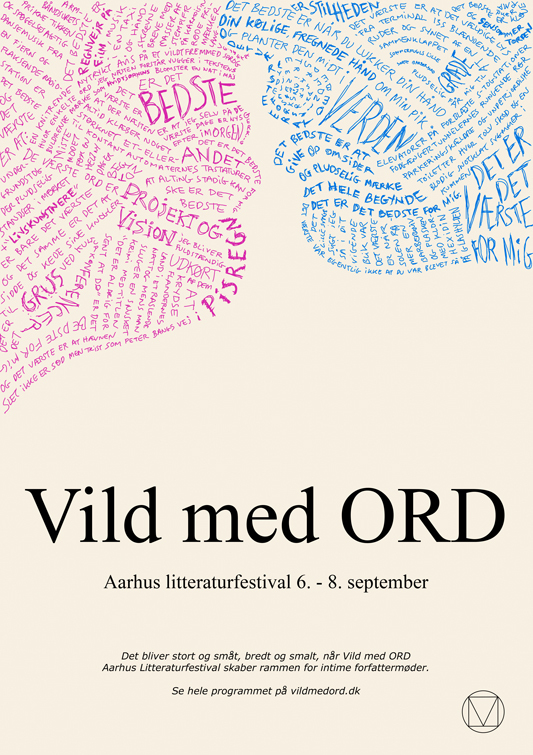 Alice Hjorth from Pixilotta Productions chose to draw the poster out of lines of poetry by the Danish poet Søren Ulrich Thomsen in the shape of two silhouette faces about to kiss. 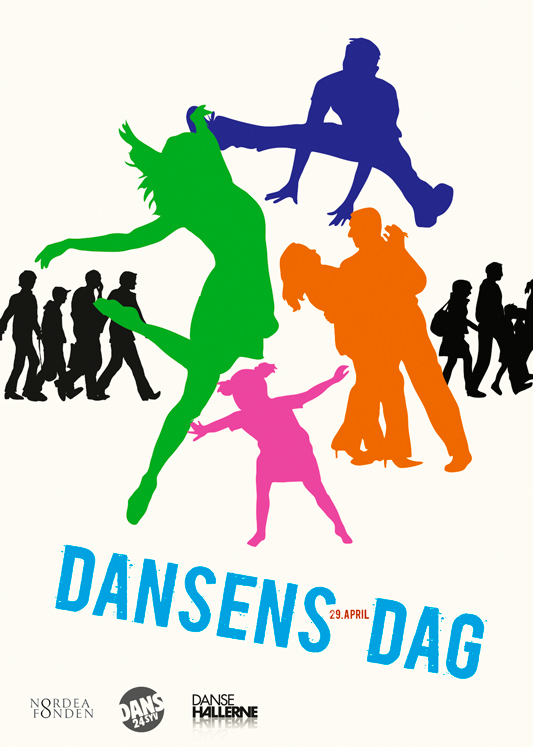 The contribution by Alice Hjorth from Pixilotta Productions to a competition from Dansehallerne promoting “The International Day of Dancing” 2013. The task was to create a poster celebrating the diversity of dancing. Conveying dancing is for everyone, from young to old, and from hip-hop to modern dance. 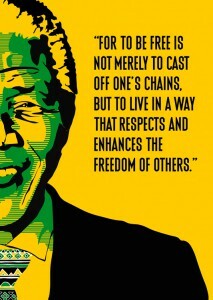 This poster was a design school project where the assignment was to create a portrait of Nelson Mandela in the style of street artist Shepard Fairey. African pattern art should be included somewhere on the poster. Alice Hjorth from Pixilotta Productions drew this poster using the colors of Mandelas south African movement ANC placing the African pattern in the tie. The poster along with other projects got her an A in graphic design exam.